March 8, 1958, Sankt Petersburg - June 25, 1999, Tel Aviv. Mikhail Goussarov was born on March 8, 1958 in Sankt Petersburg, Russia. He has shown his outstanding mathematical gift since a young age: he was a winner of the Soviet and International Mathematical Olympiads. Mikhail graduated from the Leningrad University where he specialized in geometry and topology under the supervision of a famous topologist V. Rokhlin (whose students include Y. Eliashberg, M.Gromov, V.Turaev, O.Viro and others). Last years he worked in the Petersburg branch of the Steklov Mathematical Institute (LOMI). He obtained many original first-class results and was a leading expert in the low-dimensional topology and knot theory. He was the first to consider "Finite Degree Invariants", and the first to show that many known knot and link invariants are in fact of finite degree. These invariants achieved later fame, known as "Finite Type Invariants" and as "Vassiliev Invariants", with hundreds of papers written about them. Professor Goussarov passed away in a tragic drowning accident in Tel Aviv on June 25, 1999. A new form of the Conway-Jones polynomial of oriented links, Zapiski nauch. sem. POMI 193 (1991) 4-9 (English translation in Topology of manifolds and varieties (O. Viro, editor), Amer. Math. Soc., Providence 1994, 167-172). On n-equivalence of knots and invariants of finite degree, Zapiski nauch. sem. POMI 208 (1993) 152-173 (English translation in Topology of manifolds and varieties (O. Viro, editor), Amer. Math. Soc., Providence 1994, 173-192). Interdependent modifications of links and invariants of finite degree, Topology 37-3 (1998) 595-602. Finite type invariants are presented by Gauss diagram formulas, Sankt-Petersburg Department of Steklov Mathematical Institute preprint (translated from Russian by O. Viro), December 1998. Finite type invariants and n-equivalence of 3-manifolds, C. R. Acad. Sci. Paris Sér. I Math. 329(6) (1999) 517-522. Finite type invariants of classical and virtual knots, POMI, Tel Aviv University, and Uppsala University preprint, October 1998 (joint with M. Polyak and O. Viro). See also math/9810073. Variations of knotted graphs, geometric technique of n-equivalence, St. Petersburg Math. J. 12-4 (2001). See also the Russian original. Calculus of clovers and finite type invariants of 3-manifolds, Georgia Institute of Technology and Tel Aviv University preprint, April 2000 (joint with S. Garoufalidis and M. Polyak). See also math/0005192. Mikhail Goussarov was a mathematician of exceptional talent and originality. 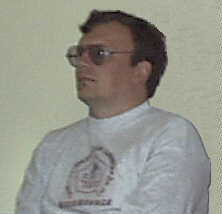 He developed, simultaneously with and independent of V. Vassiliev, a theory of finite type invariants of knots and 3-manifolds which is parallel to that of Vassiliev, but with a big difference: Goussarov's techniques were totally combinatorial, whereas Vassiliev's work was based upon singularity theory. Many of Goussarov's results were stronger (and some were weaker) than those of Vassiliev. His work could easily have been totally ignored, because he spoke and wrote only in Russian, and even then was reluctant to take the time to record his ideas. And it surely would have been ignored if it had not been of such remarkable originality, beauty and depth that as soon as one obtained a glimmer of understanding (and that was not easy!) one wanted to understand more! Essentially everything we know about his work on finite type invariants was communicated to the world by Oleg Viro and Michael Polyak. I met him at a conference in Oberwolfach several years ago. He spoke in Russian and Viro acted as his translator. His tragic death is a great loss to mathematics. At the time of his undergraduate study, Rokhlin asked him to study operations in the Smith theory. The results were published in Zapiski Nauchnykh Seminarov LOMI. Then Goussarov tried to solve the famous problems on 4-manifolds. It was just before and at the time of the Freedman-Donaldson revolution in this field, and now we know how difficult these problems were then. Rokhlin's attempts to suggest an easier problem for a Ph. dissertation failed and Goussarov finished his graduate study without dissertation. Then Goussarov had to move to a provincial University of Petrazavodsk and worked there for about 3 years. When he came back in 1986, he announced that he found a new class of knot invariants. They are defined combinatorially, without use of algebraic topology. The main motivation was to find invariants suitable for study exotic smooth structures on 4-manifolds via cobordisms of classical knots. The invariants were finite type invariants. He gave several talks at Rokhlin seminar. In particular, on 12.1.1987 he gave a talk with the his definition of invariants of finite type and first examples. On 6.06.1988 he gave a talk with his version of HOMFLY polynomial, a proof the relation of its coefficients to finite type invariants and definition of n-equivalence of knots. Although Goussarov understood the fundamental nature of finite type invariants, he did not publish. Probably, he hesitated to publish a paper without solutions of problems he wanted to solve. Later he proved that only the Arf invariant is an invariant of finite degree invariant under cobordisms of knots. Due to this or a wide development of the subject, he wrote few papers. Most of his results were not published. He seemed to be happy, when some of his results were published by other people: there was no need to write this down. His publications contain his most complicated results. He introduced a geometric notion of n-equivalence for knots and 3-manifolds. He proved that finite type invariants are polynomial in gleams for shadow presentations of knots. He proved that any finite type invariant can be presented by a Gauss diagram formula. He developed a theory of surgery along 3-valent graphs (parallel to the clasper theory by Habiro). This site is maintained by Dror Bar-Natan; updated December 16, 2003.